As a biologist who specializes in animal behavior and emotions, I’ve spent the past four years exploring the science on the inner lives of fishes. What I’ve uncovered indicates that we grossly underestimate these fabulously diverse marine vertebrates. The accumulating evidence leads to an inescapable conclusion: Fishes think and feel. Because fishes inhabit vast, obscure habitats, science has only begun to explore below the surface of their private lives. They are not instinct-driven or machinelike. Their minds respond flexibly to different situations. They are not just things; they are sentient beings with lives that matter to them. A fish has a biography, not just a biology. 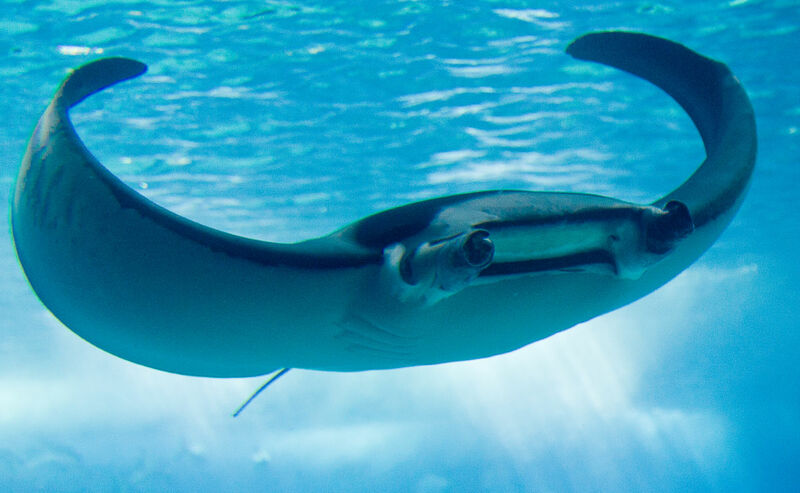 Those giant manta rays have the largest brains of any fish, and their relative brain-to-body size is comparable to that of some mammals. So, an exception? Then you haven’t met the frillfin goby. Up to five inches long, with prominent eyes and slightly puffy cheeks looking down on a pouting mouth, the frillfin won’t strike you as an Einstein among fish. But what these humble dwellers of intertidal zones can do with their minds might cause you to reconsider. At low tide, frillfins hide in rocky tide pools. If danger lurks — a hungry octopus, say — the goby will jump to a neighboring tide pool, with remarkable accuracy. How do they avoid ending up stranded on the rocks? A series of captive experiments dating from the 1940s found something remarkable. They memorize the tide pool layout while swimming over it at high tide. They can do it in one try, and remember it 40 days later. So much for a fish’s mythic three-second memory. If a fish’s brain can achieve that, what else might it be capable of?